Incredible opportunity to own your very own Monomoy Dream compound. Two beautiful homes are brilliantly sited on a natural peninsula to take advantage of views of both the harbor and Monomoy creeks, stunning Brant Point sunsets, and easy direct beach access. Brand new construction with sophisticated and classic architecture lines, and no execution detail excluded. The front home boasts a spacious and deluxe chef\’s kitchen, flowing floor plan, media room, central elevator, 6 bedrooms all en suite, and picture perfect balconies for sailboat viewing. Exterior features include wrap around porches, a lovely pool with integrated hot tub, stone gas fire pit, large blue stone patios, and have we mentioned the water views? Second home features three full floors of just completed living space include 7 bedrooms, a wonderful open floor plan, stately kitchen, see through fireplace, bonus office and media rooms, as well as spacious garage. A wrap around porch and nicely landscaped blue stone patio will lead to the pool with scheduled completion this fall. Both homes are also listed separately. Enter into a generous foyer, opening up to a large living room with serious harbor views. Living room features a gas fireplace, custom bookcases, large TV with custom art covering. Past the living room is a dining room that views the Harbor. A custom woodwork library created from Vermont reclaimed lumber makes for a cozy spot to work or curl up and enjoy with a book. Oversized Chef\’s kitchen has everything you want including an enormous kitchen island, refrigerator and freezer drawers, oven with warming drawer and much more, large informal kitchen dining area with seating for 8. Office off of the kitchen, featuring custom built cabinetry and views of Monomoy creek. Off of the kitchen is a large mudroom with extensive storage, powder room and laundry. First floor master off the living room features wonderful views of the harbor, large bathroom with double sinks, and custom tiled shower. Second master bedroom with large windows and balcony to take in elevated and incredible views of the harbor and creeks, his and hers bathrooms each with custom tile, built in cabinets, and more views! 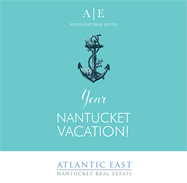 Wake up and watch Nantucket come to life from your private suite. Hall bedroom has large windows and porch to showcase the views, en suite large bath with custom tile. Third bedroom aka the “shiplap room” had custom built in cabinetry, ship lap walls and even more wonderful harbor views. Widows walk with full staircase access, 360 degree views of the harbor and creeks. Lovely pool house with custom built in lounging daybed, bar/kitchenette, TV, Sonos, half bath and outdoor shower. Gorgeous perennial gardens surround the pool making it a peaceful escape. Garage off the driveway with space for two cars and extensive storage above. 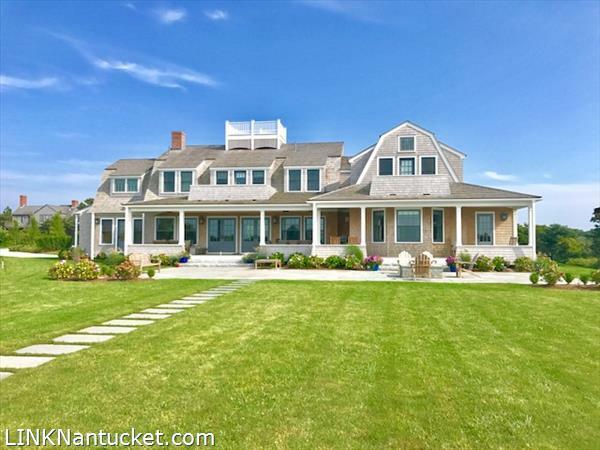 Beautiful brand new construction by Graham Goldsmith Architecture, William Gorman Construction and decorated by Christopher\’s of Nantucket. Delectable views of both Nantucket harbor and Monomoy creeks make this property a rare find. Three full floors of just completed living space include 7 bedrooms, a wonderful open floor plan, stately kitchen, see through fireplace, bonus office and media rooms, as well as spacious garage. A wrap around porch and nicely landscaped blue stone patio will lead to the pool with scheduled completion this fall. This house has a refined and stylish feel that appreciates the dazzling water views. Private path access from the top of the driveway to Monomoy beach leads to summer boating or paddle board fun. Too many wonderful details to list, this special property really must be seen to be appreciated. Listing Company: J Pepper Frazier Co.